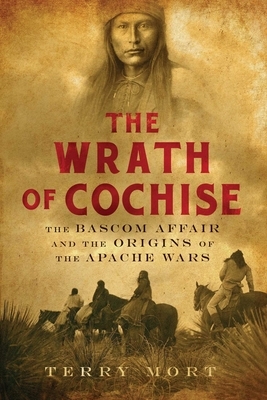 In February 1861, the twelve-year-old son of an Arizona rancher was kidnapped by Apaches; a band of Chiricahua Apaches led by the infamous warrior Cochise was blamed for the attack. Lt. George Bascom organized a patrol and met with the Apache leader, who, not suspecting anything was amiss, had brought along his wife, his brother, and two sons. Despite Cochise's assertions of innocence and his offer to help in the search, Bascom immediately took Cochise's family hostage. An incensed Cochise escaped the meeting tent amidst flying bullets--and vowed revenge. What followed that precipitous encounter would ignite a Southwestern frontier war between the Chiricahuas and the US Army that would last twenty-five years. Thousands of lives would be lost, the economies of Arizona and New Mexico would be devastated, and in the end, the Chiricahua way of life would essentially cease to exist. In a gripping narrative Terry Mort explores the collision of these two radically different cultures in a masterful account of one of the bloodiest conflicts in our frontier history.